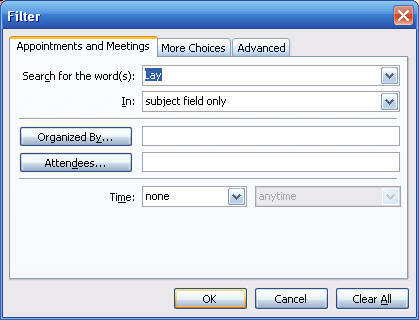 After you transfer your BB FC to MS Outlook using "Style 1", each event in your trip will appear as an appointment in the outlook calendar. You can click on the appointment or change the calendar view for expanded information about a specific trip leg. 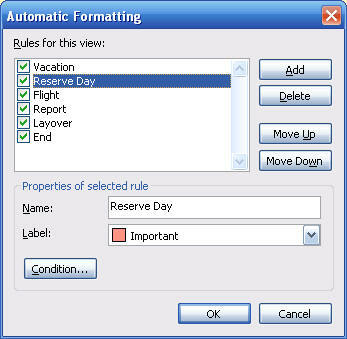 A formatted calendar in Style 1 will look similar to the one shown below. To get the font small enough to see all of the pertinent info on the Outlook Calendar, right-click over in calendar box and select "Other Settings". 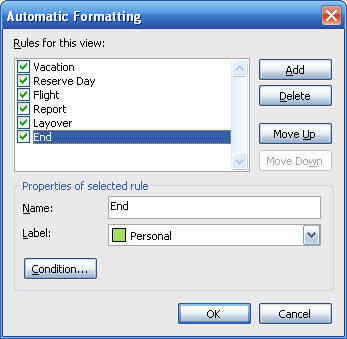 Then select the "Month" font to "Arial 7" or something similar. Scroll down for information on auto-formatting the colors so it happens automatically when you transfer your BB FC. 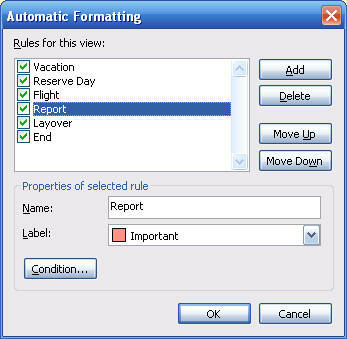 Right-Click over any calendar box and Select "Automatic Formatting". 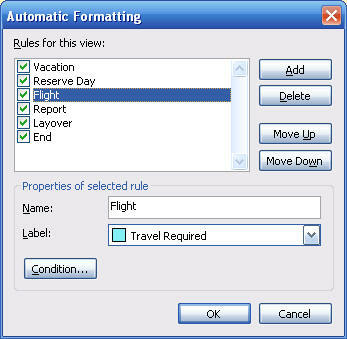 The following window will appear, except the rules may be empty if you haven't set any. 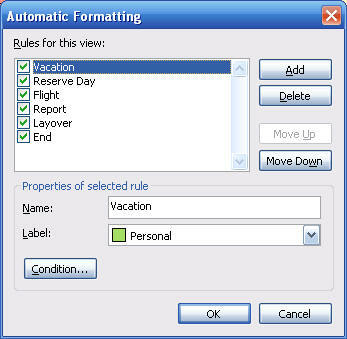 Press [Add] and then type in "Vacation", and select the color you want for Vacations days. Then Select [Condition]. This window will appear when you do. Type "Vacation" into the Search Words box and select [OK]. 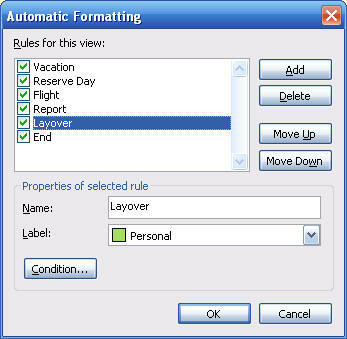 Then add the other rules as shown below in the same manner.